What do we know about sleep - why does it matter? Sleep is an interesting area of science. While there is still no agreement on “why” we sleep - there is plenty of evidence that sleep, as incredibly complex as it is, is important for proper function of the human body. Sleep is a state in which the body regenerates and re-energizes. It’s also a state where the brain is busy consolidating memories, cleaning out waste, and regulating hormone production cycles. 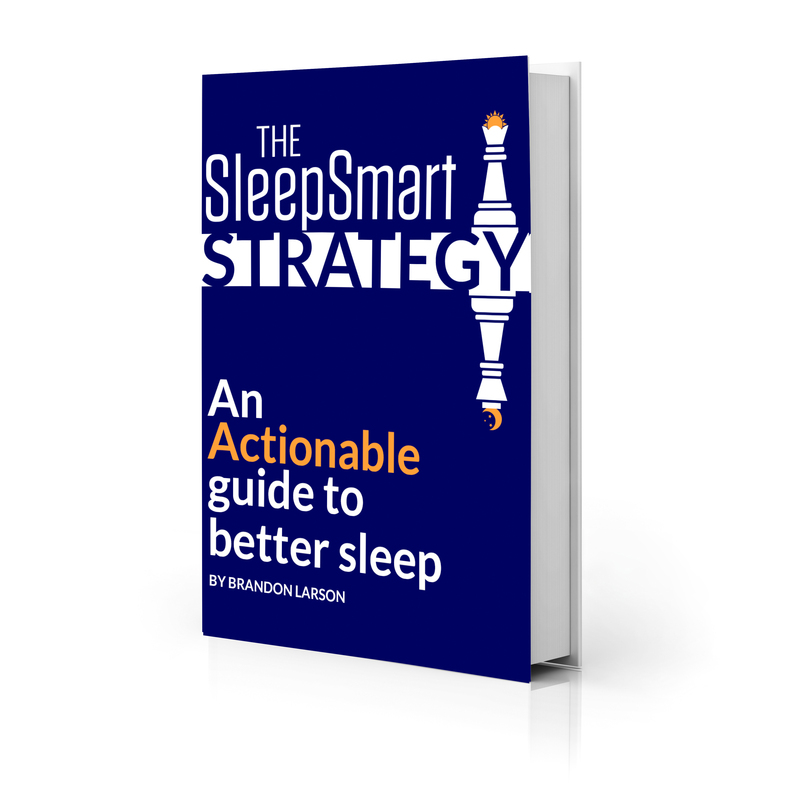 Years of studies have shown the many positive outcomes of quality sleep as well as the negative outcomes of poor sleep. The most fascinating aspect of sleep is that it’s highly connected to almost every aspect of our waking lives and everyone’s sleep needs, patterns, and influences are highly individualized. This matters because it means that the best way to better rest and recovery through sleep science is an awareness of how sleep impacts our moods and feelings and health and how our lives in return - impact the way we sleep. The SleepSmart team is dedicated to helping individuals become more aware and more educated about themselves and their sleep patterns. We take the science and apply it to you as the individual so you can become the master of your sleep. Top 3 biggest bangs for the buck... when it comes to sleep. This helps set the body’s sleep-wake cycle. This means consistent waking at the same time 7 days a week. After a week, you might be able to wake without an alarm clock if you are getting enough sleep. If not, adjust your bed time accordingly. Light exposure is tied to a hormone called melatonin. When it’s darker, you produce more melatonin, which makes you feel sleepy. Try to get 10-30 min of sunlight exposure as close to your wake time as possible. Limit light exposure before bed. Timing is everything! Healthy adults take 5-6 hours to process caffeine from their blood. If you consume 150mg of caffeine at mid-day, you still have 75mg in your blood at 5:30pm. Caffeine stimulates the nervous system and may impact sleep. Pay attention to side effects on common medications. For a portion of the population, allergy medications and antihistamines won’t cause drowsiness, but rather cause arousal which can lead to temporary insomnia. Be aware of how you feel when using meds. Hormones during menstruation can change the way the female body processes food and other chemicals. This can have a significant impact on sleep quality. For instance, during menstruation, caffeine processing increases to 10-12 hours. In 1930, electricity became widespread across America, allowing people to stay up later, do more things, and avoid the seasons a bit more. Today, blue light from LED lights, mobile devices, urban lighting are all having a negative impact on our sleep physiology. Try to limit explosure to blue light at night. Stage 3 of your nightly sleep cycle is when the brain consolidates what you learned and what you will remember. Alcohol may help with feeling sleepy but it also causes the brain to skip stage 3 - which means that the brain will not properly consolidate learning and memories from the day. If you learned something important, consider skipping the night cap. Researchers are starting to find that sleep-wake cycles can be negatively impacted by lack of vitamins D, K, and B-complex. It’s estimated that a large portion of the US population lacks one or all of these. See your doctor to learn more. Journal 99 (1): 58–67. Review. study. British Medical Journal 342: d2712. road traffic crashes and injuries. Injury Prevention 14 (1): 51–58. Review. Cohort Study. Diabetes Care 36 (10): 3154–3161. Mellitus. Archives of Internal Medicine 166 (16): 1768–1774..